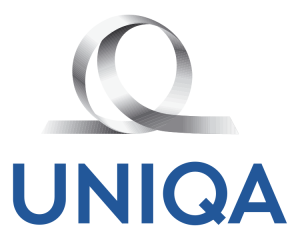 The insurance company UNIQA was established in 1993. From the year 2007 it also offers Czech health insurance for foreigners. UNIQA Insurance Company belongs to Austrian majority stockholder UNIQA International AG from which it receives a strong financial background and KNOW-HOW. Which insurance products UNIQA offers? Health insurance for foreigners from UNIQA offers their clients four elementary products. Health insurance for foreigners – BASIC, which is equivalent to acute and emergency healthcare and also comprehensive health insurance for foreigners: KOMPLEX, KOMPLEX EXTRA, KOMPLEX+, KOMPLEX2. Health insurance for foreigners BASIC is the usual health insurance for foreigners, which covers an acute and emergency healthcare in case of medical issues. It is designed for all foreigners who travel to the Czech Republic and stay here no longer than 90 days – short term visa. This type of insurance also covers transport to the hospital or medical centre and all medication essential for your recovery. Health insurance for foreigners BASIC does not provide preventive treatments at the doctors. It does not cover injuries brought on by dangerous sports. It is not for newborn babies. The minimum insurance period for the BASIC variant is one month. The maximum insurance limit per one insurance event is 60 000 EUR. Other variants of healthcare insurance from UNIQA are designed for foreigners who want to stay in the Czech Republic longer than 3 months – long term residence. Comprehensive health insurance – KOMPLEX offers foreigners coverage for all outpatient treatments, preventive treatments, dispensary care and also acute and emergency healthcare. It also includes repatriation of insured person to home country. The insurance limit of the KOMPLEX variant is 75 000 EUR. The KOMPLEX variant does not include insurance for dangerous sports and it is not designed for pregnant women. But, for additional insurance for dangerous sports UNIQA insurance company has other special insurance products. It is described below in our article. The variant KOMPLEX EXTRA is identical to KOMPLEX with one change – increased insurance limits up to 100 000 EUR. The insurance product KOMPLEX+ is designed for every sportsman, who need additional insurance for dangerous sports. The variant KOMPLEX2 is health insurance for pregnant women. It includes healthcare for pregnant women before and after childbirth. It also includes health insurance for newborn babies for the first 14 days his life. The insurance contract begins at 00:00 from the day arranged as the beginning of the insurance contract. The earliest date can immediately follow the day after the day you have arranged the insurance contract. The insurance contract ends at 24:00 of the day arranged as the end of the insurance contract. What can I do when an insurance event happens? In case of injury or illness you can turn to the assistance services of UNIQA insurance company. They will find you the nearest contracted hospital and eventually provide you help with interpreting your problem to the doctor if you do not speak Czech very well. If you are in a medical facility where the doctor does not accept a guarantee of payment by UNIQA you have to pay via cash and bring all the bills and medical reports to the insurance company which gives you all refunds. In this case it is important to report the insurance event at least 30 days from when it happened to UNIQA. If you injured and hospitalized you have to contact the UNIQA assistance services. It is because they will prepare all necessary documents and pay for your treatment in the hospital.